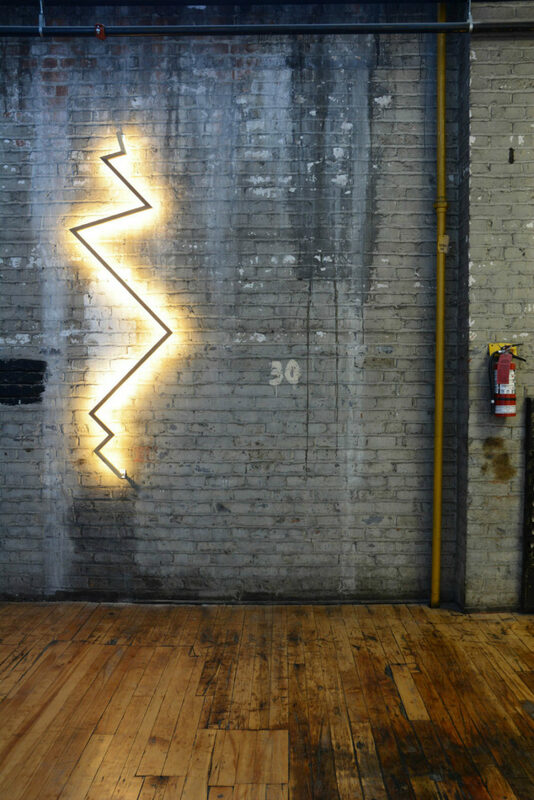 Wall lighting can be as decorative as wall art on the side of being functional. It is a great way of combining aesthetic pleasure and functionality. Modern wall lighting fixtures can accommodate a lot of different styles as well as purposes. 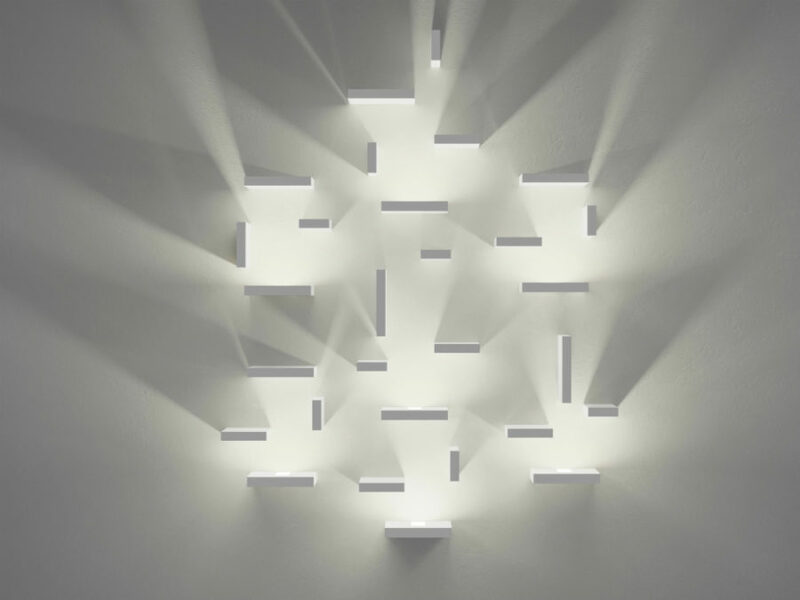 These unique wall lighting fixtures won’t let your vertical surfaces go unappreciated. 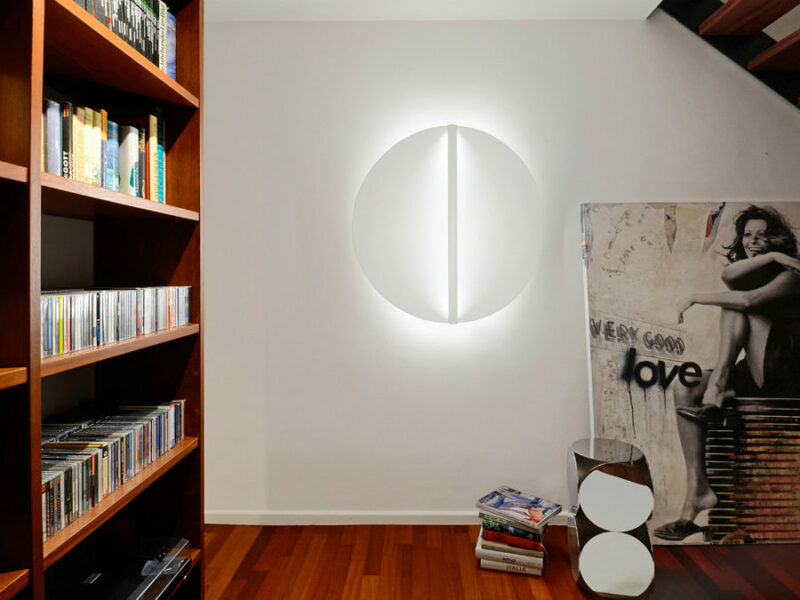 A modern take on a classic lampshade is this wall light by Raco Ambient. Looking familiar and yet somewhat modernized, it makes for a perfect bedroom lamp. It will not make much of an impact in a big living room, but indirect light makes it a great secondary lighting option. 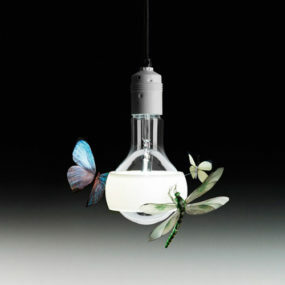 Central park is an even prettier lampshade, revitalized with a perforated pattern and a 3D butterfly decoration. 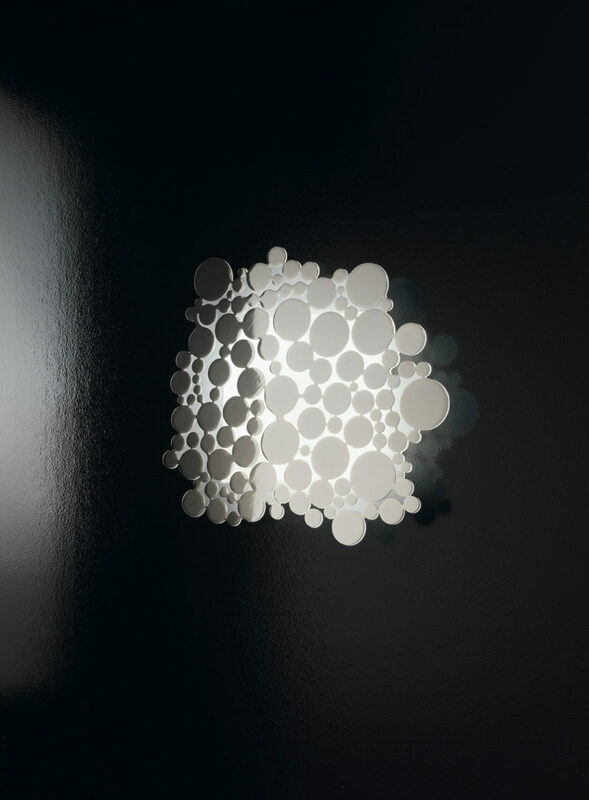 Perforations amplify lighting emanating from the lampshade in a decorative way, but it may be enough to serve as a singular night light in the bedroom or living area. 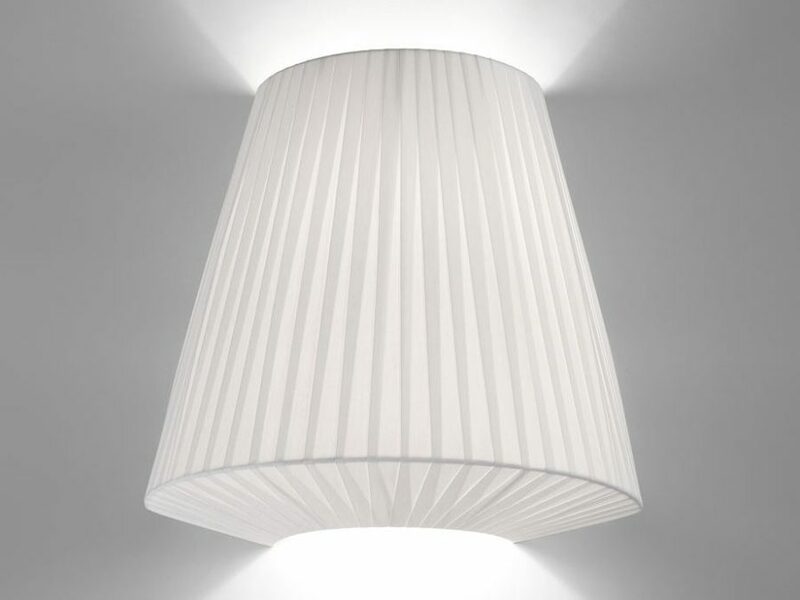 If you’re looking for something more contemporary looking, here is Hi-Collar A from LZF. 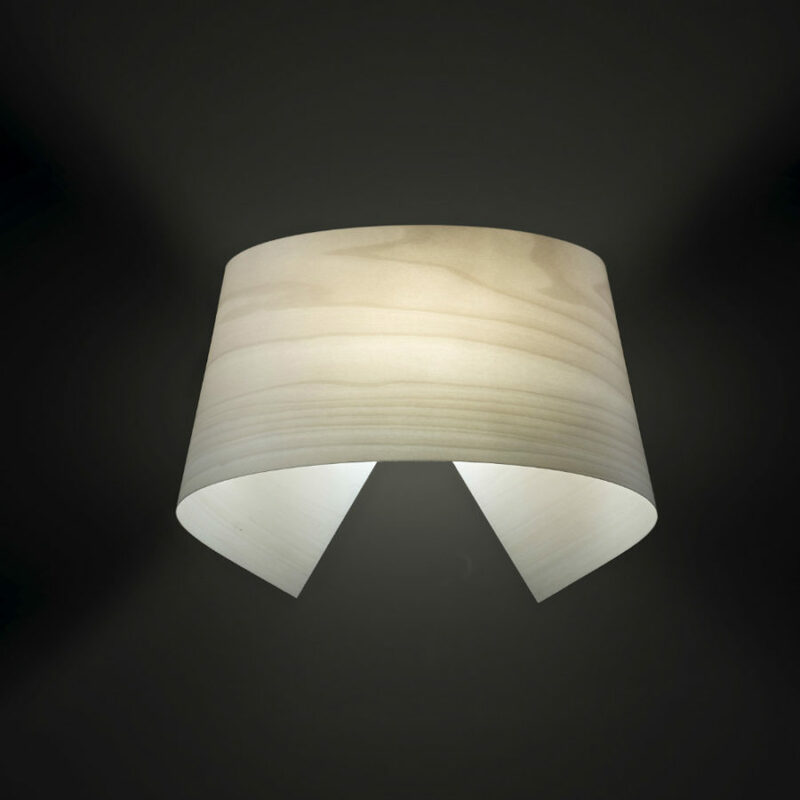 Paper-thin wooden light takes shape of a collar facing the room with its back. Its LED bulb gives it a rather gentle glow that is enough to show off the wood’s beautiful texture. 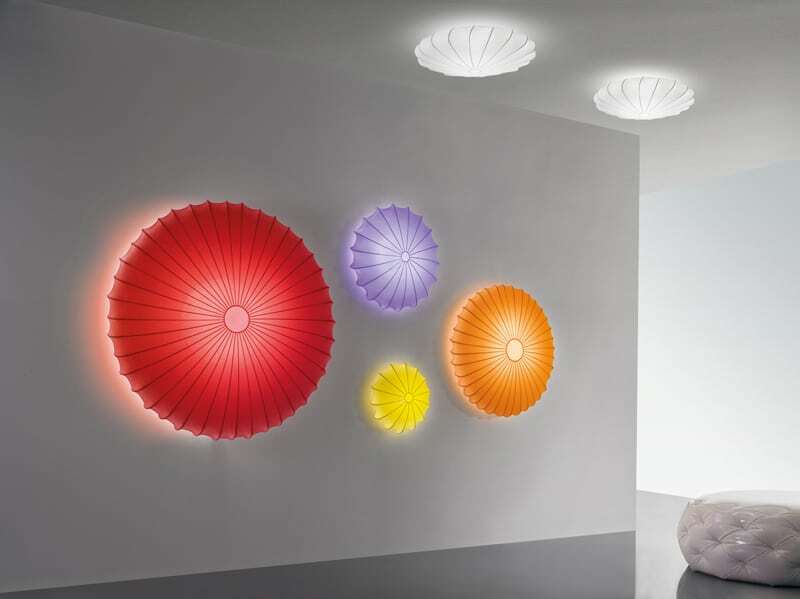 Circular shapes are very popular in wall lighting right now, and some even make for quite unique lamps. 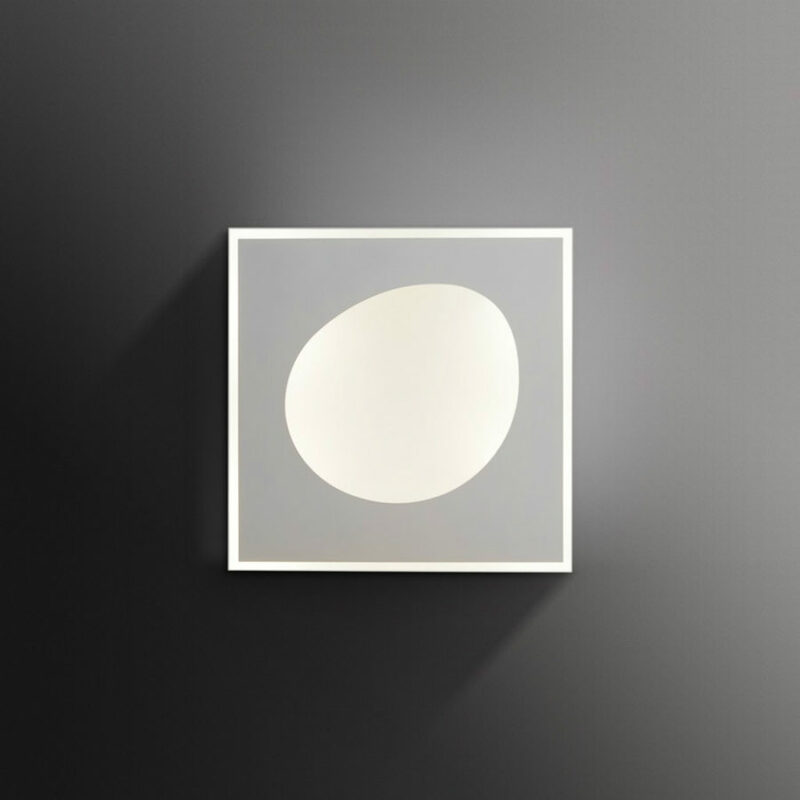 Here is a Shield Round wall light from Millelumen that with a simple detail turns an unremarkable spheric light into a designing home decor piece. Silver Ring is remarkable because it does not go the familiar route as many other designs, filling up the entire circle with light. A ring of white LED light contained in a silver diameter of 80, 120 and 180 cm looks more than just another round luminaire. 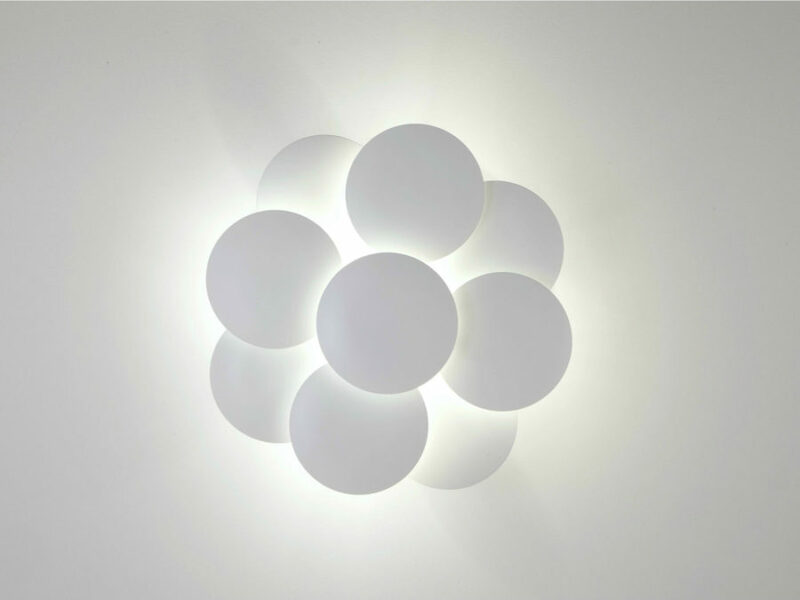 Millelumen, again, goes with something different for the sake of turning attractive but predictable circles into a new exciting shade. 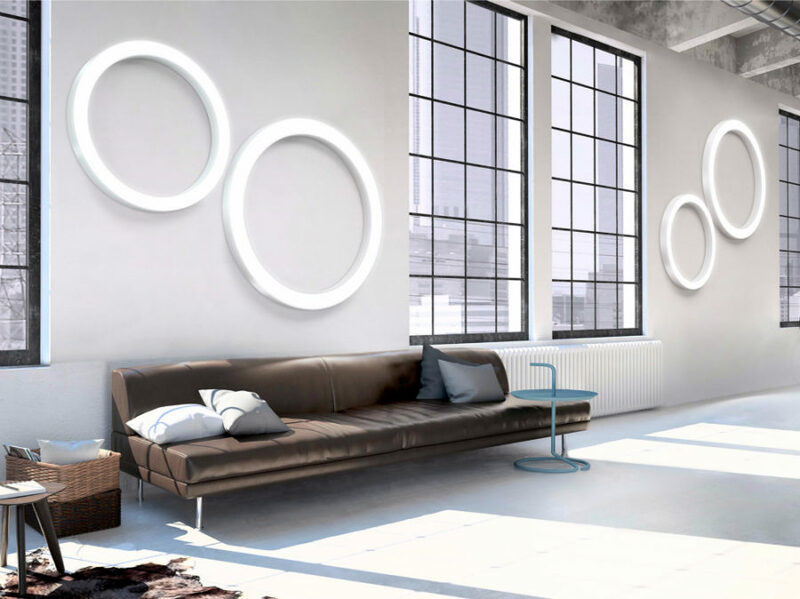 Circles is a modern lamp that combines quite a few overlapping small circles around a bulb. 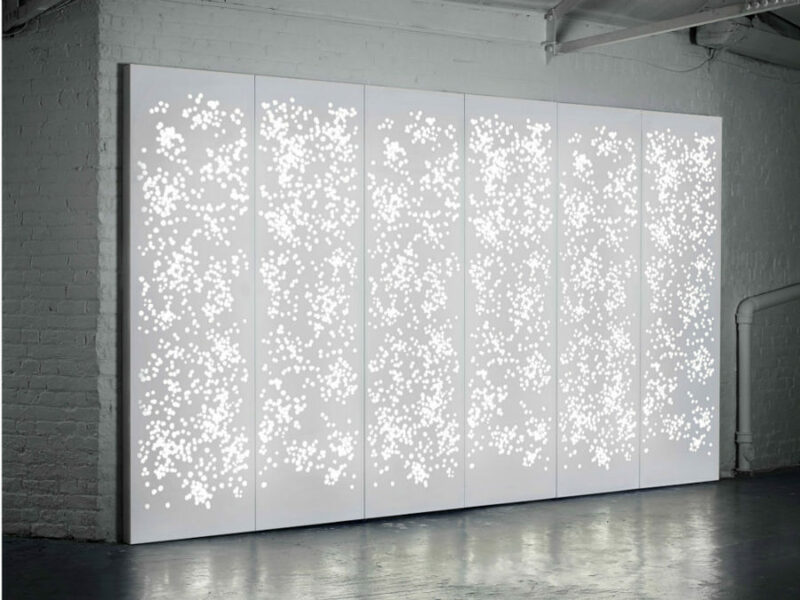 This arrangement allows the light to disperse softly around the wall making for backlighting effect. 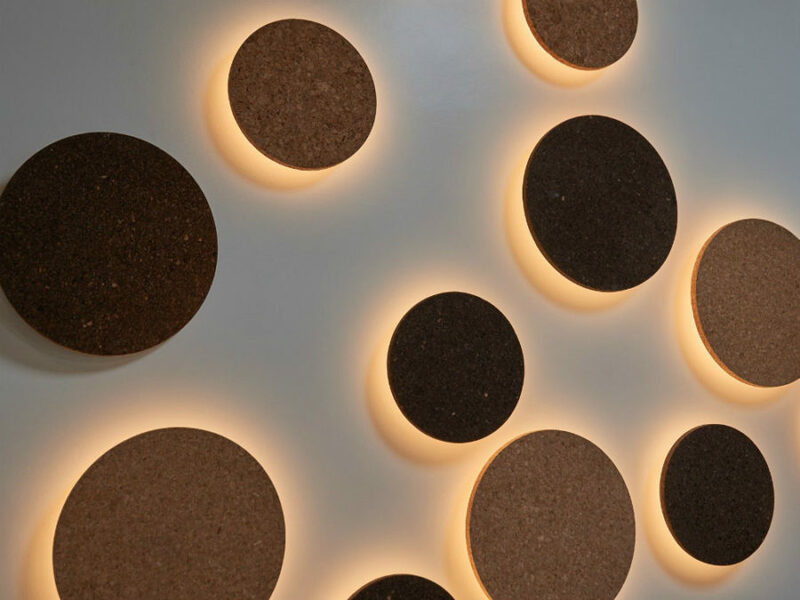 You will find cork in many modern designs like these LED circle lights. 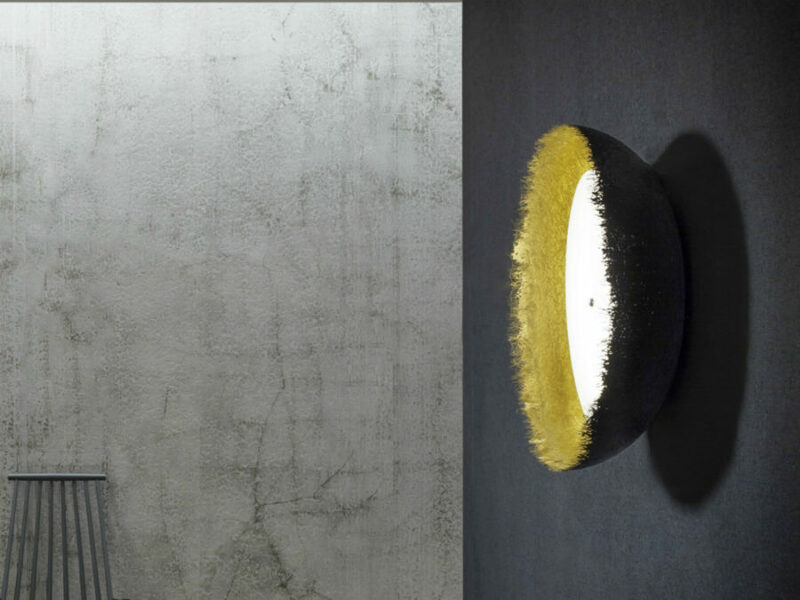 While the busy texture of the cork creates a dynamic look on the wall, soft yellow light emanating from the back of the lamp looks like a beautiful halo. Geometric shapes are as trendy as ever. Design loves them ’cause they’re simple and stylish. 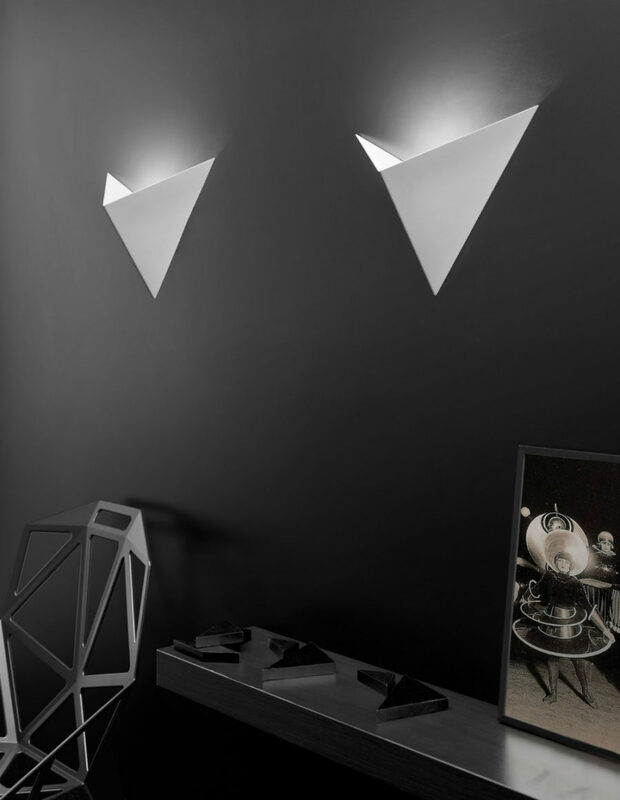 Triangle wall light is a testament to that. Sharp wooden frame looks especially noticeable as it contains pure white LED light that creates a stark contrast between the two. 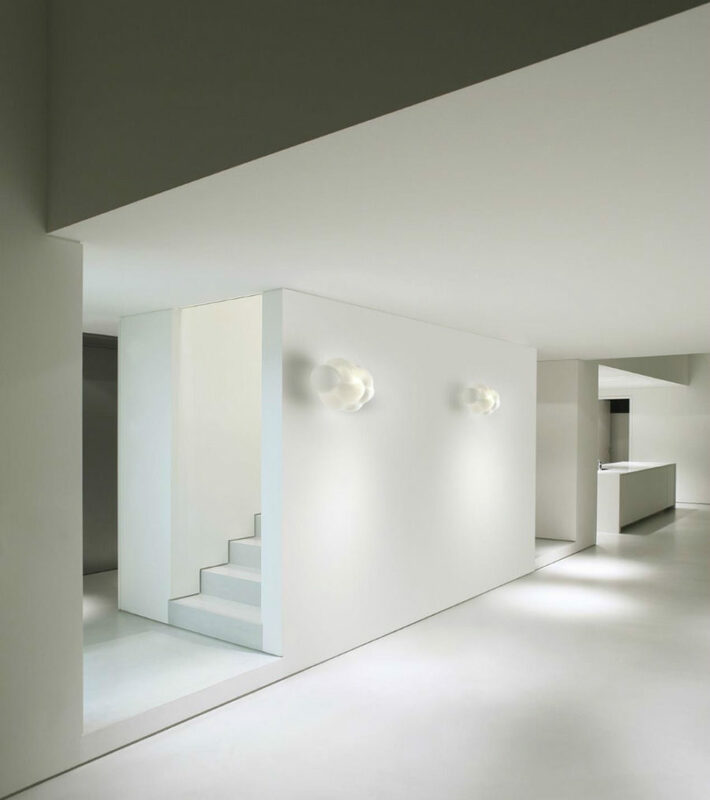 Again, wall lights that work as backlighting are taking the stage to bring a stylish glow to a hallway, staircase, or living room. Circles work in any type of room or design. 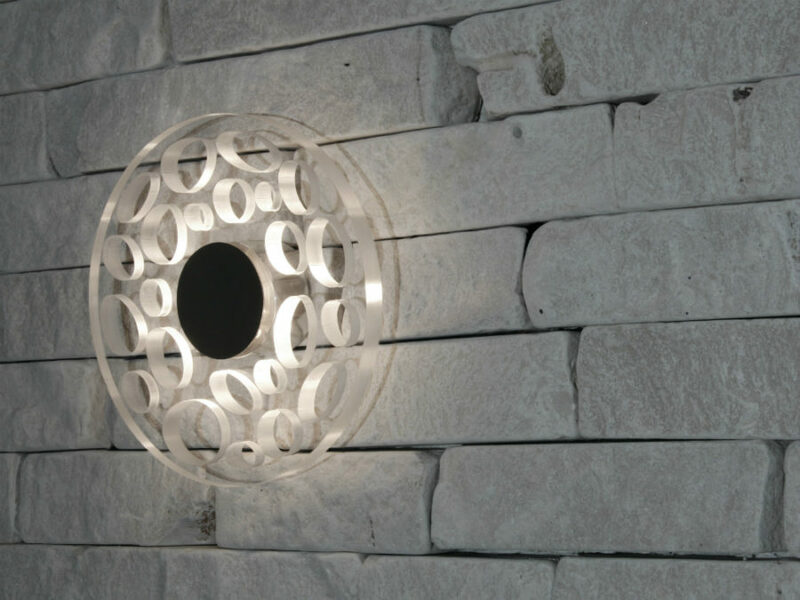 It is hard to miss when choosing any kinds of circular wall lights. Their versatility is eternal. Nelly Straight may look like LED-lit squares, but the lamp has a certain finish that makes it look very much like pillows. This interesting arrangement isn’t the only option, though, as you can vary and change the position of differently-shaped squares all around the wall and even ceiling. FC01 plays on a contrast of shapes contained all in one design. Outlining both square and a free-form circle, the whitish light makes the lamp look more interesting than it may seem when not lit. Bright, fun, and practical, a Muse lamp is everything a modern homeowner wants. It makes for a cool accent and its elastic fabric covering is removable and washable. Available in different colors as well as literal rainbows of colors, Muse truly deserves its inspirational name. Nothing can quite compete with a well-designed wooden lamp. 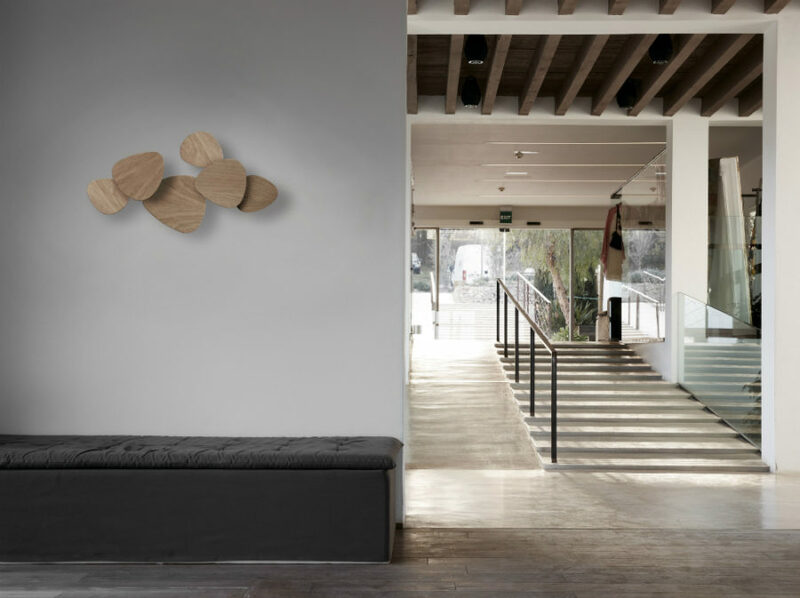 A modern wall fixture will also work as backlighting, showing off the wood’s best texture. Tria Set 6 from Bover is a lamp that doesn’t need light to look designing. It can easily pass as wall art. Just like FC01, Nebulite comes with a geometric arrangement, but this time around it’s all about what’s in the middle of it. 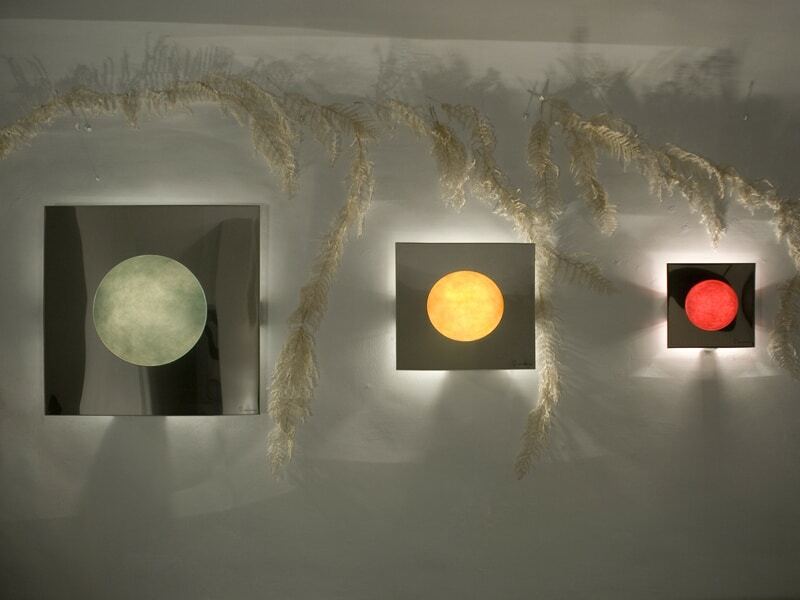 Each lamp looks like a picture frame of a planet, and its backlighting system gives it some additional functionality. 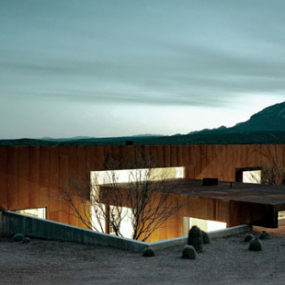 Another cork design comes in a second most favorite geometric shape – a square. The principle is no different in this one either. 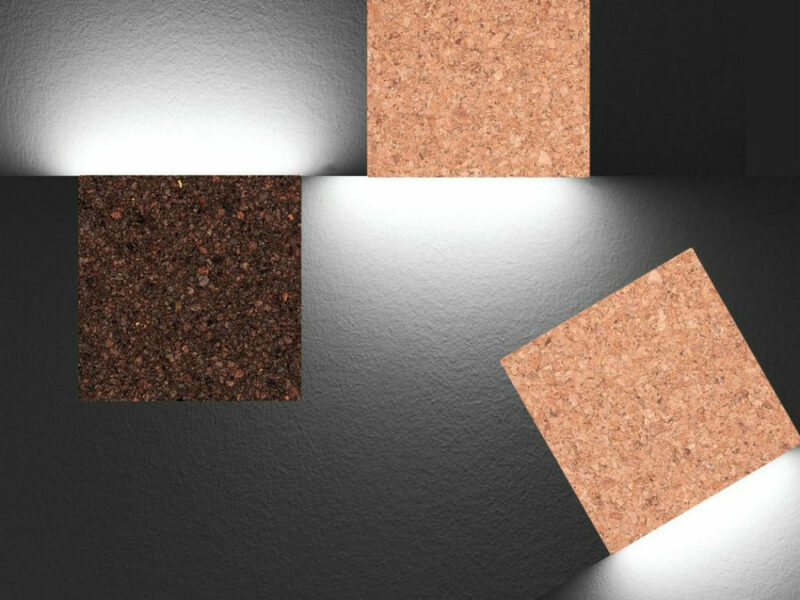 It’s the cork texture that sets the tone and look for the lights, while the glow comes from one of its sides. Unique wall lighting designs are often complex and intricate. You can really take advantage of that, and make one a focus of your room. 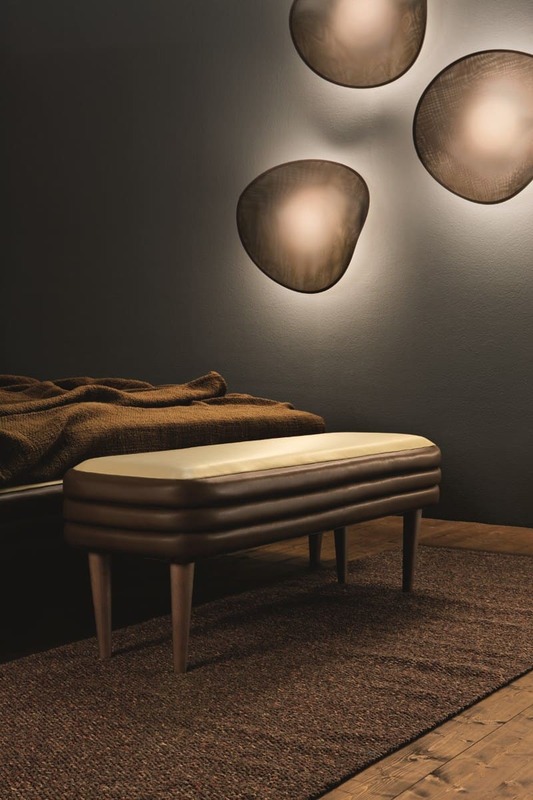 Opalflex or Veli Large Couture could both take a place above the bed or inside the bathroom in place of a Juju hat. 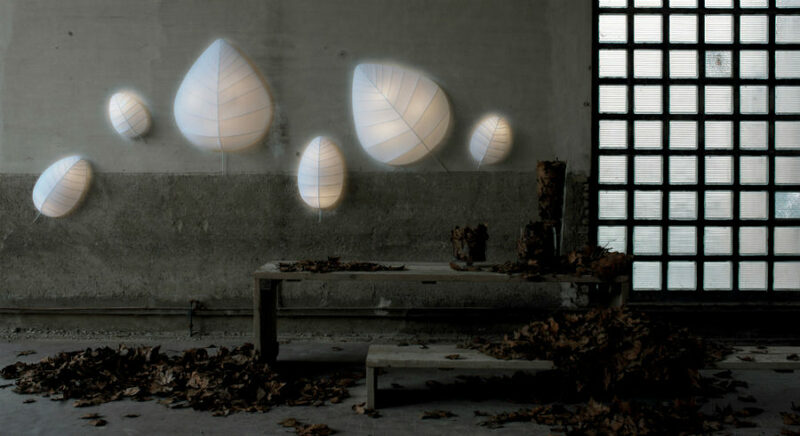 Veli lamp is a Red Dot Design Award-winning light that takes a cue from modern textiles and uses their flexibility to its dispersing advantages. Just look how beautiful is a pattern it creates on the wall. 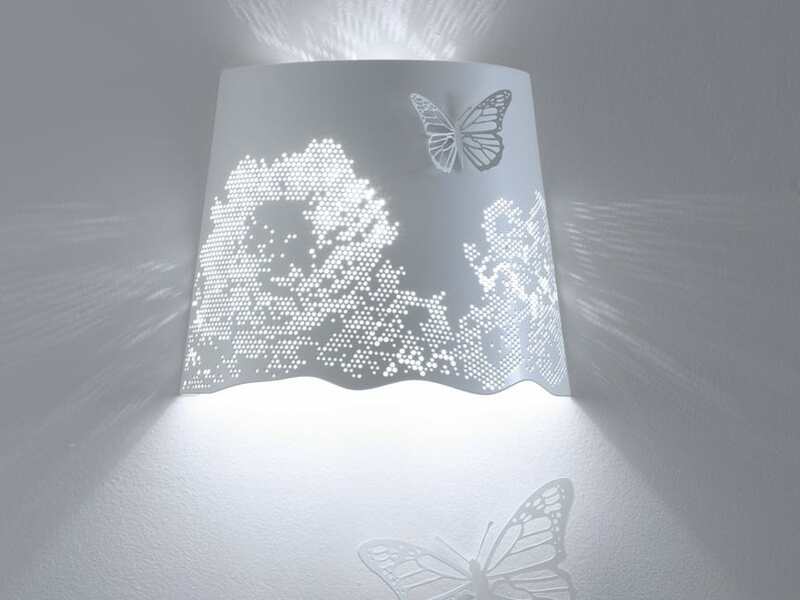 Besides, its intricate folds light up gorgeously with the white LED light. Bubbles may not look like a lamp but it definitely subverts expectations, that’s why it works so well. 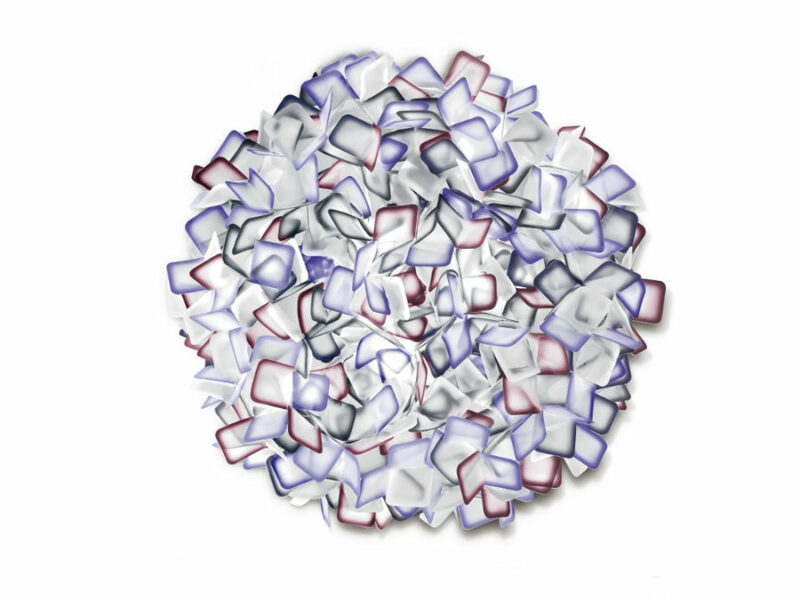 Available in various sizes, it may look positively jewelry-like or contemporarily playful. Lucky lamp is a creation of an artist Albi Serfaty. It is a color-changing intricate sphere that is laser cut from metal, sprayed with a clear polymer, and powered with LED. With the constantly changing color trends, Lucky may be just the light you need to accommodate your ever-changing moods and love of trends. 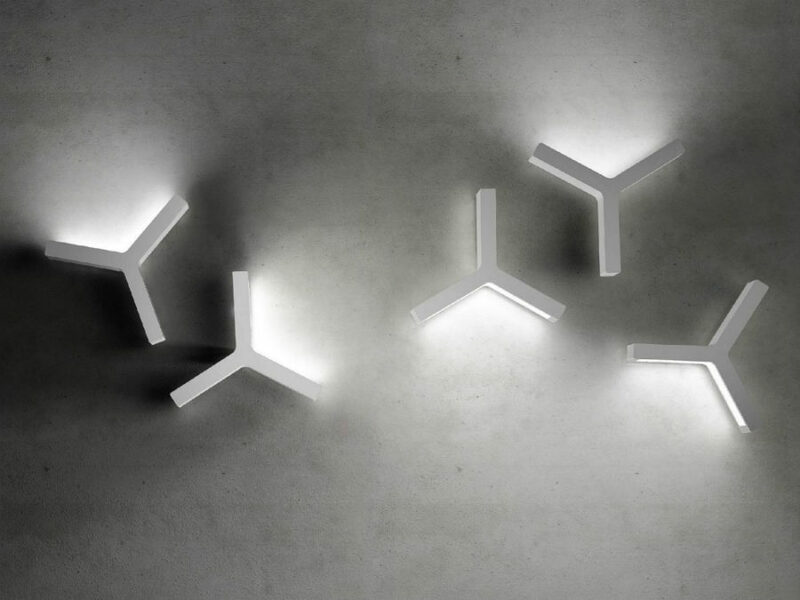 Cerf LED lights are the lights to get if you want your lights to be both playful and unexpected. 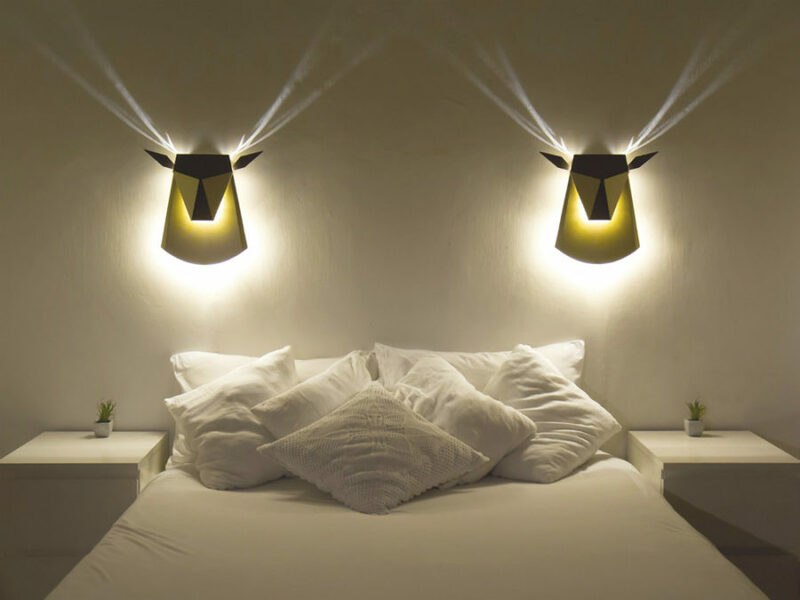 Shaped as various animals including owls and deer, Cerf uses specific design tricks to manipulate light to become a substantial part of the lamp design. 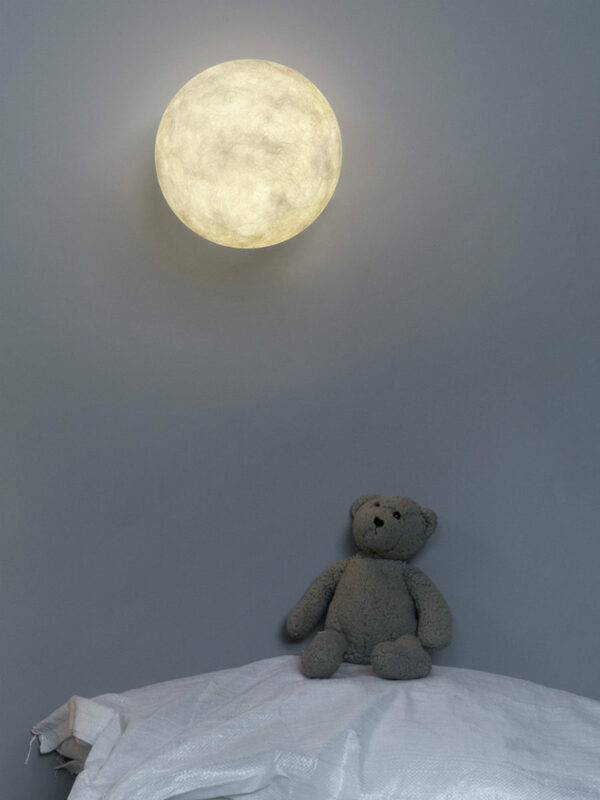 Moonlight can be quite helpful for navigation through dim-lit streets at times, so it’s not surprising to see it as an inspiration for a wall lamp. 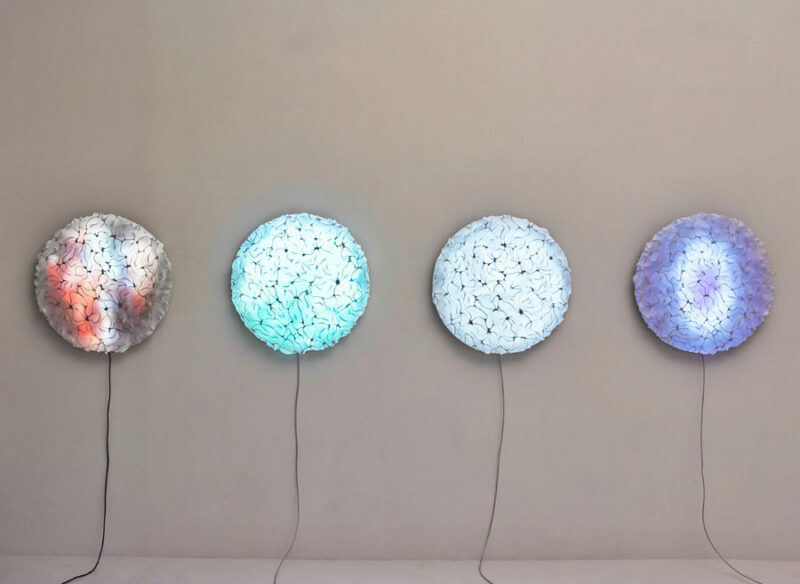 This particular design tries to emulate the unevenness in the moon’s lit surface by using a special material called Nebulite that consists of resin and glass fibers. We could swear it was a paper moon, though. 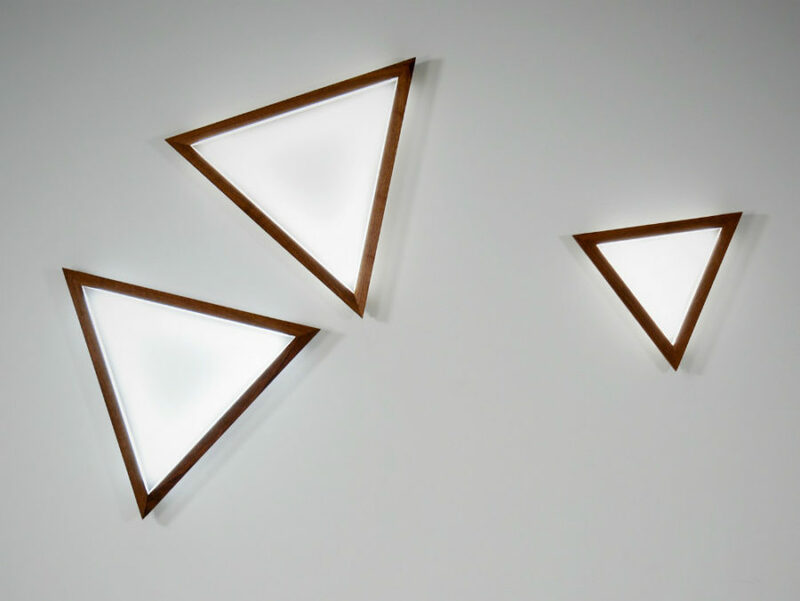 It may not be the most original shape of all, but it surely looks fresh when it comes to wall lighting. Enough light’s emanating from underneath the Bolt Sconce to make it look, if not real, then at least very cool and unexpected. You can tell that Eden lights were made for decoration first and illumination second. Nevertheless, they do their job, and you can maximize lighting with an arrangement of two or more. 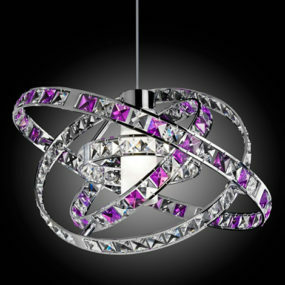 Modern lighting can be very jewelry-like but there are alternatives, if you’re looking for something different. Here is a Pin, an adjustable wall lamp that looks like a part of some complex machinery. 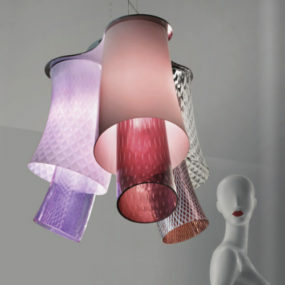 Modern designs can also look cute like these blown glass Nuvola clouds. A natural-looking shape makes it a perfect kids room or nursery addition. Also available in table and ceiling versions, Nuvola could really create a sense of heaven inside a home. If sweet and soft isn’t your style either, here is a halogen metal check sign light that looks smart and stylish without too much direct lighting. Designed to make an impact in dark color-schemed interiors, it is like a perfectly-ironed cuff peeping out the grey suit sleeves. 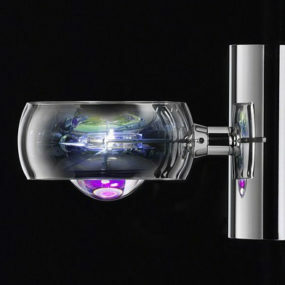 Finally, this jewelry style wall lamp is meant to make some heads turn, while adding style points to your living room. Trendy copper finish, practically makes it a to-buy light. If you thought you won’t find sophistication on the modern wall lamp market, here are some examples to convince you otherwise. 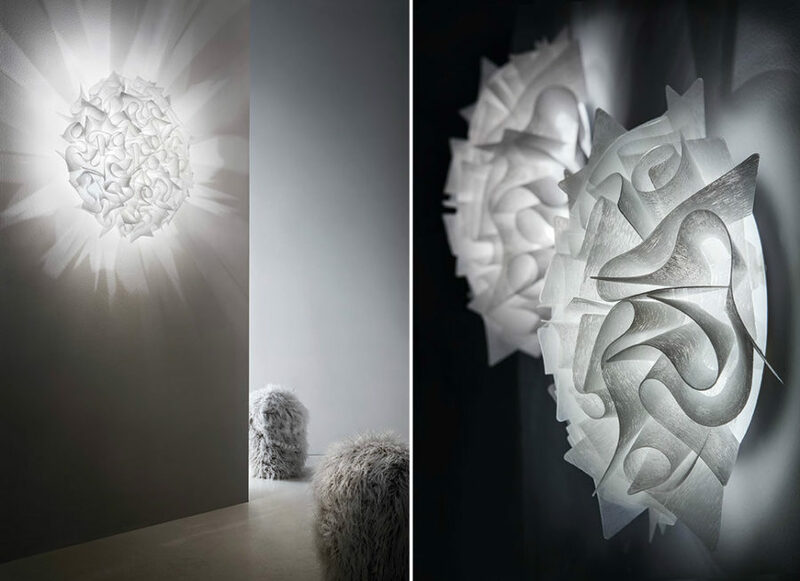 The Chips from Italamp are cool, modern, and yet elegant bedroom wall lighting fixtures. 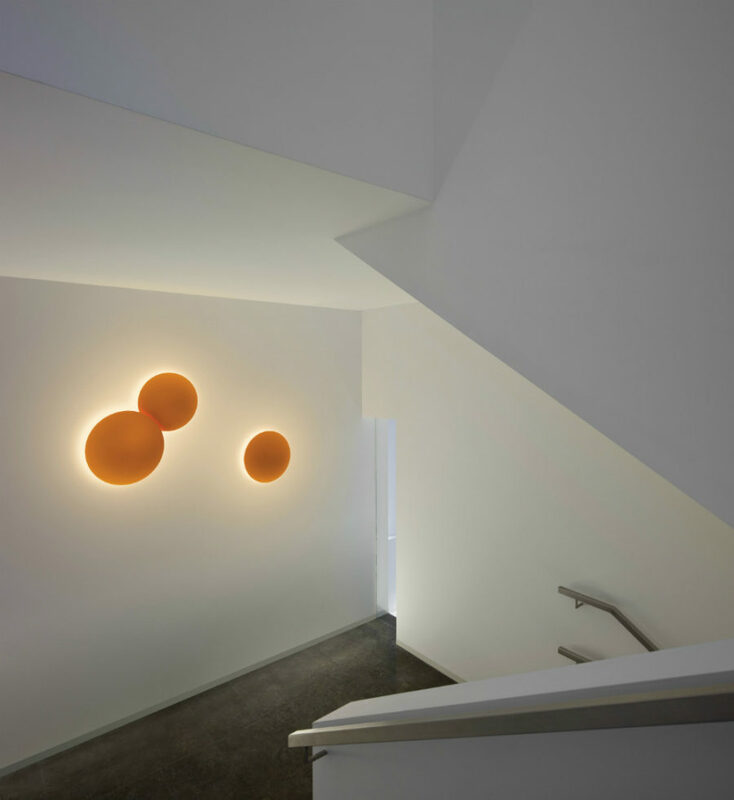 The Fly takes spherical wall lighting to another level with oval perforations and a stylish black centre. It may look playful and even somewhat retro, but it’s still restrained enough to maintain a fancy look. Egida looks so wispy on the edges, it seems as if it will crumble in your hands. Looking like a mirror and a fancy ceiling pendant all in one, it’s a beautiful addition to an ultra modern bath or bedroom. 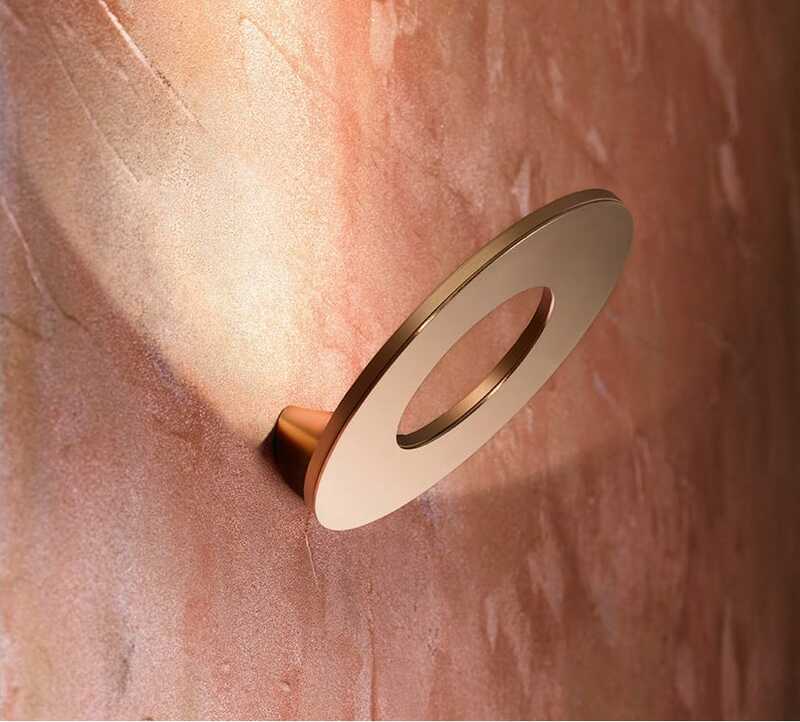 When it comes to unique wall lighting, it’s hard to compete against systems that can lit up entire walls. 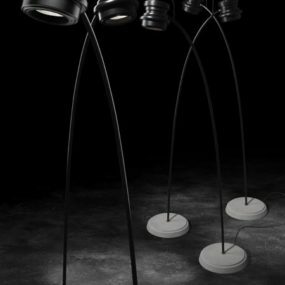 Here is Isomi’s endeavour to bring light into the contemporary home in an unusual but very attractive way. Imagine an entire hallway full of walls like that. 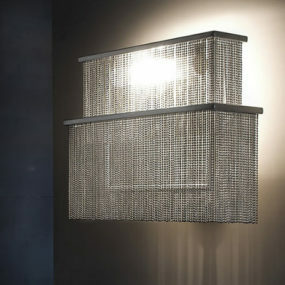 Sierra wall light by Metal Lux di Baccega R.&C. Then there are smaller systems that still make an incomparable impact in the interior. 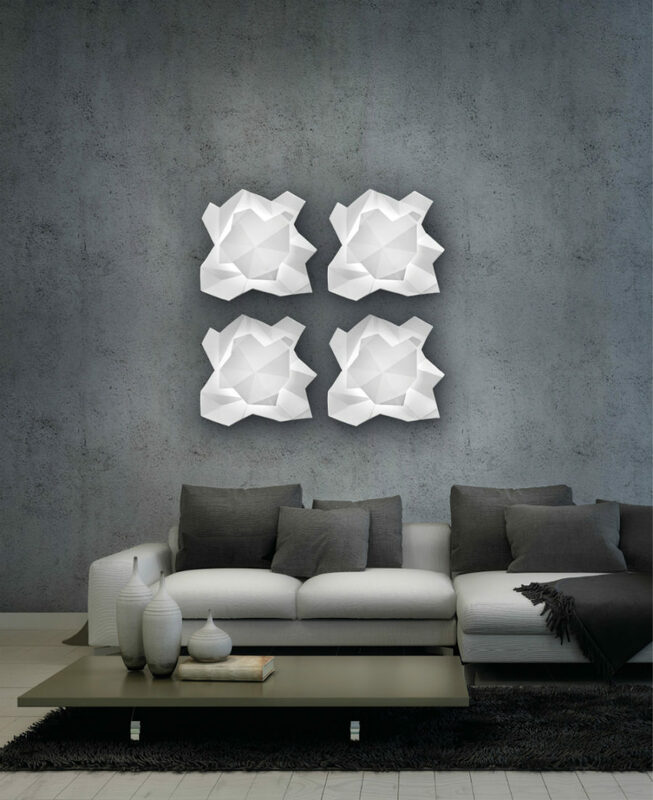 Sierra wall lights may look like lit up crumpled paper but a few of them take over the decor initiative, turning your wall into a feature. 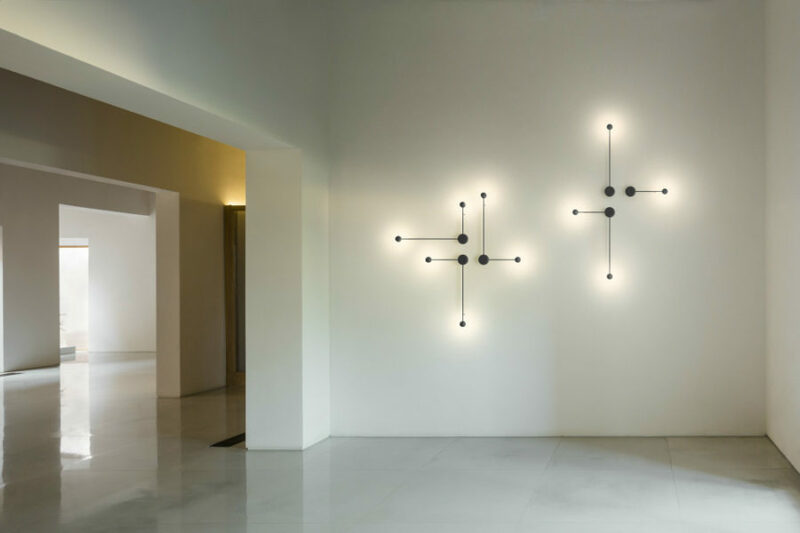 Vibia thinks the best wall lighting system is the one that manipulates light, and they are not wrong. This set makes a lampshade obsolete. Arranged at different angles, these light-emanating squares and rectangles are all play of light and shade. 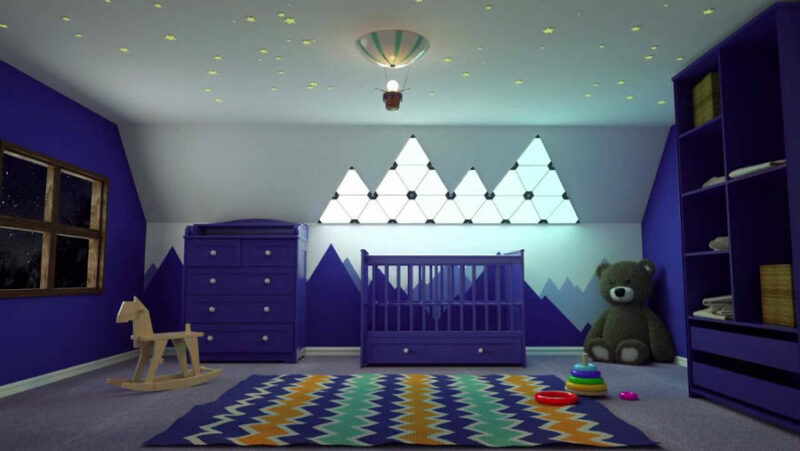 Nanoleaf Aurora is a modular smart lighting system that can not only take different forms but also changes light colors, according to your preferred settings. Control it through an app or with Siri’s voice, and choose any light color or a whole scheme that best corresponds with your mood. 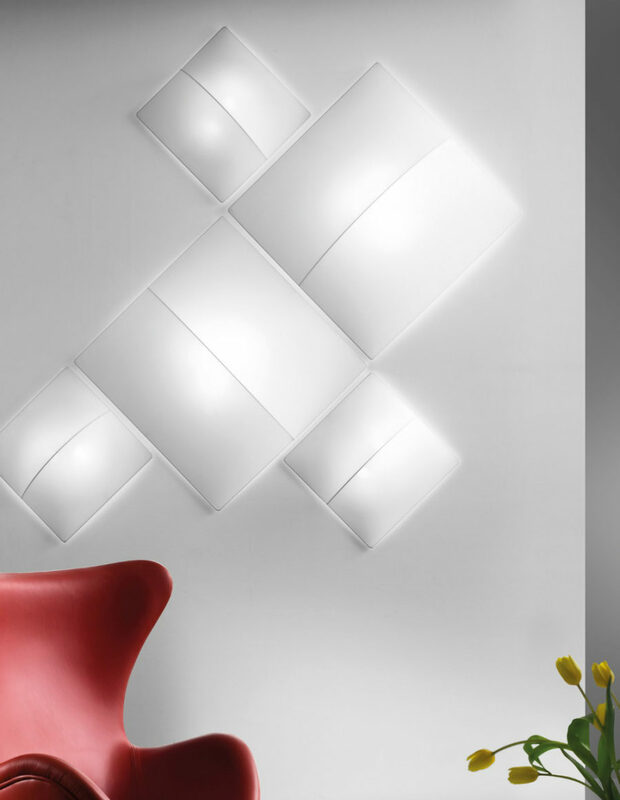 Working by the same principle as Vibia’s set, Laysilon Olev is a more organized system that will create a peculiar pattern of light and shade on your feature wall. Unique wall lighting is very easy to decorate with. Just pick a sweet spot for your luminaire of choice, and don’t forget to give it attention it deserves. In most cases, there’s no need to supplement it with a gallery or other wall art.